Uninstall all corrupt SQL instances. Be patient, uninstalling can take a moment. 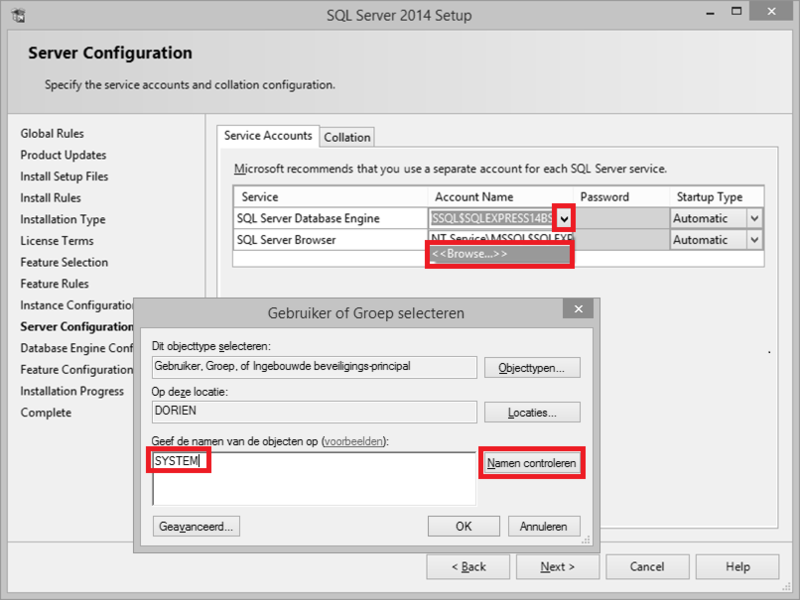 Restart the SQL Server (if you find it in the list). 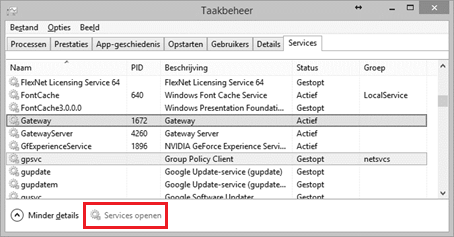 Open Task Manager > tab page ‘Services’. 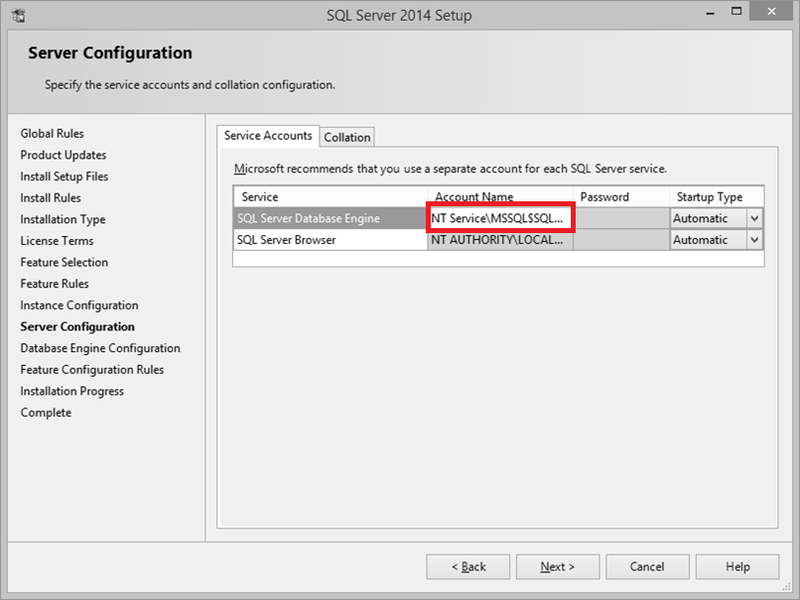 Find the service ‘SQL Server (SQLEXPRESS14 or SQLEXPRESS14BS)’ > right mouse button > ‘Stop’. Change the account from NT Service\MSSQLSERVER to NT AUTHORITY\SYSTEM by clicking on the drop-down box, selecting ‘Browse’ and then typing ‘SYSTEM’ in ‘Enter the object name to select’. Click on ‘Check Names’ so SYSTEM is underlined. Run the Diamonds and/or PowerConnect installer. 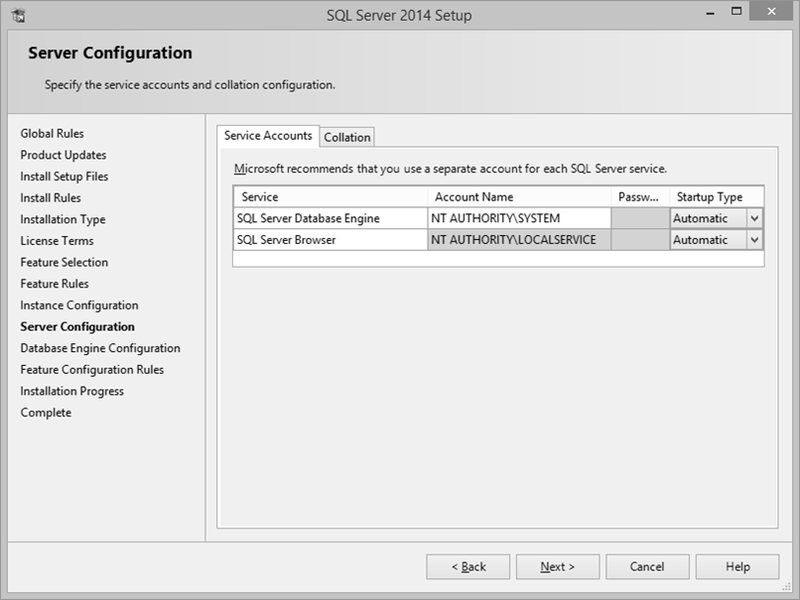 Select the just installed SQL instance.